Formally unveiled alongside the iPhone XS and XS Max more than a month ago, Apple’s lower-cost iPhone XR finally went up for pre-order on October 19 ahead of an actual commercial release scheduled for this Friday, October 26. More colorful than its more capable siblings, the 6.1-inch LCD-sporting iOS handset was widely expected to sell like hotcakes, as buyers could confidently say “I have the best too”, despite spending $250 less. But at least for the time being, it appears not that many people agree with Phil Schiller, Apple’s Senior Vice President of Worldwide Marketing. Although iPhone XR pre-orders are reportedly on track to exceed the initial numbers of last year’s iPhone 8 and 8 Plus, they’re nowhere near as impressive as those posted by the iPhone XS and XS Max. Shipping times also remained uncharacteristically steady during the phone’s first weekend on the market, pretty much confirming demand is not as rampant as certain analysts anticipated. About four days in, Apple finally sold out its initial inventory, which means if you pre-order the iPhone XR at the time of this writing, you can no longer expect to receive the device as soon as it launches. Instead, you’ll have to wait until the November 6 - 13 week, at least in the US, regardless of your carrier, color, and storage configuration of your choice. Either red models are not substantially more popular than all other finishes after all, or Apple did a great job stocking up on snazzier iPhone XR flavors. The iPhone XR saw daylight in over 50 countries and territories worldwide on October 19, and although we haven’t taken the time to check every single one, most regional Apple Stores in major global markets are currently listing “1-2 weeks” delivery times. Obviously, without any sort of official sales numbers available out there, we probably shouldn’t jump to conclusions and call the iPhone XR a flop. 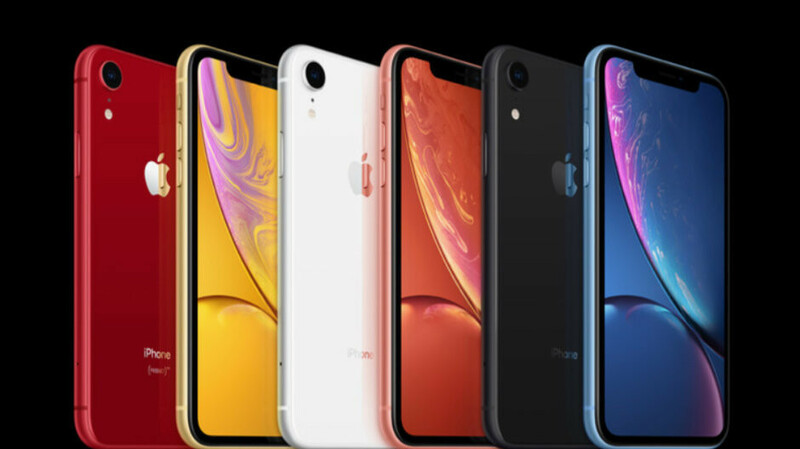 Besides, unlike the iPhone XS, which started off impressively but quickly took a hit in popularity, the XR is expected to remain in high demand throughout the holiday season and beyond. September 19 "Apple reportedly ramping up iPhone XR orders as it now forecasts higher sales" And even still XR sold out, Apple have 20 million XR for this month. I have to admit, the iPhone XR is a very well-rounded phone. Nobody really needs more than one good camera and it has it. The screen, if you don't use VR or an always-on display, does not matter if it's LCD or OLED. And the battery size seems in line with some Android flagships like the LG G7. Coupled with a 7nm chipset it could be the first truly great battery performer from Apple. It indeed is better value than Xs and Xs Max. Priced okay as well and for the specs, there is very little to complain. I am an Android user but Xr is really a well rounded device. And many android fans gonna be bitching about its prices and 720p screen. It will sell well as there are people who don’t want to spend a grand.